German software giant SAP just announced that it will pay $4.3 billion, or $45 a share, for Ariba, a cloud-based player in business commerce. Ariba operates something called a buyer-seller network that’s aimed at helping companies manage their supply chains more efficiently. The price amounts to a 20 percent premium on Ariba shares, which closed yesterday at $37.64 a share. Ariba reported sales in the year ended September 2011 of $444 million and a profit of $33.3 million. 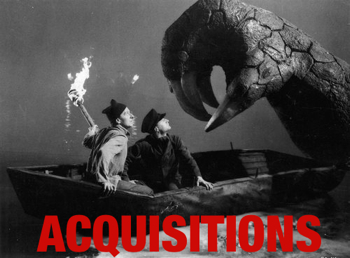 It’s the second big cloud deal for SAP in recent memory. In December it spent $3.4 billion to acquire SuccessFactors, a player in the cloud-based human resources software business. That deal flipped the switch on a wave of acquisitions by Oracle, which soon acquired Taleo, and Salesforce.com, which bought the start-up Rypple in response. WALLDORF, Germany and SUNNYVALE, Calif., May 22, 2012 /PRNewswire/ — SAP AG (SAP) and Ariba, Inc. (ARBA) today announced that SAP’s subsidiary, SAP America, Inc., has entered into an agreement to acquire Ariba, the leading cloud-based business commerce network, for $45.00 per share, representing an enterprise value of approximately $4.3 billion. The acquisition will combine Ariba’s successful buyer-seller collaboration network with SAP’s broad customer base and deep business process expertise to create new models for business-to-business collaboration in the cloud. The Ariba board of directors has unanimously approved the transaction. The per share purchase price represents a 20% premium over the May 21 closing price and a 19% premium over the one month volume weighted average price per share. The transaction will be funded from SAP’s free cash and a €2.4 billion term loan facility. The transaction is expected to close in the third quarter of calendar year 2012, subject to Ariba stockholder approval, clearances by relevant regulatory authorities and other customary closing conditions. The transaction is expected to be accretive to SAP’s non-IFRS earnings per share in 2013. With the addition of Ariba, SAP will acquire the leader in cloud-based collaborative business commerce. The acquisition establishes SAP as the leading business network, adding business-to-business collaboration to its existing solutions. The move positions SAP in a fast-growing segment as buyers and sellers across the globe connect in new ways through the cloud. SAP’s entry into the inter-enterprise business network space significantly expands its growth opportunities and accelerates its momentum in the cloud. Last week, SAP announced the roadmap for its cloud applications business (Software-as-a-Service), focusing on managing customers, suppliers, employees, and financials, in addition to its cloud suite offerings SAP Business ByDesign and SAP Business One. The acquisition will also significantly boost SAP’s cloud applications portfolio with the addition of Ariba’s leading cloud-based procurement solutions. Headquartered in Sunnyvale, California, Ariba has approximately 2,600 employees. The company is the leader in cloud-based collaborative commerce applications and the second-largest cloud vendor by revenue. Ariba combines industry-leading technology with a web-based trading community to help companies discover, connect and collaborate with a global network of partners – all in a cloud-based environment. With $444 million in total revenue, Ariba experienced 38.5 percent annual growth in 2011. Its business network recorded 62 percent organic growth in the same period. Industry experts estimate the cloud-based enterprise network and procurement segment at a current size of $5 billion in revenue. The Ariba network is the largest and most global trading network, connecting and automating more than $319 billion in commerce transactions, collaborations, and intelligence among more than 730,000 companies. SAP’s global customer base of more than 190,000 companies includes the largest buyers and sellers in the world, offering great potential to increase the number of participants, as well as the volume and types of transactions conducted through this network. Already today 63% of the world’s transaction revenue touches an SAP system. SAP and Ariba will facilitate collaborative commerce within and between companies of all sizes. Together, SAP and Ariba can deliver a truly end-to-end solution that enables companies to achieve a closed-loop from source-to-pay, regardless of whether they deploy in the cloud, on-premise or through a combination of both. Ariba’s open network and SAP’s integration expertise will facilitate participation and extend the benefits of business collaboration to all companies, on any system, from any provider. The Ariba network will benefit from the performance delivered by using SAP’s flagship in-memory platform SAP HANA. Relationship and transaction information from commerce activity in the Ariba network together with SAP’s leading analytics will provide real-time insights to enable trading partners to discover, connect and collaborate more effectively. All SAP customers will be able to easily connect to the business network through pre-built integration points. Through the combination of the business network procurement solutions from Ariba and SAP, organizations can gain 360-degree business intelligence and effectively demonstrate that spending activities, contracts, and supplier interactions adhere to corporate compliance guidelines. Upon completion of the transaction, it is planned to consolidate all cloud-related supplier assets of SAP under Ariba. The existing management team will continue to lead Ariba, which will operate as an independent business under the name “Ariba, an SAP company.” The SAP Executive Board intends to nominate Ariba CEO Bob Calderoni to the SAP Global Managing Board after closing of the transaction and subject to the approval of the SAP Supervisory Board.